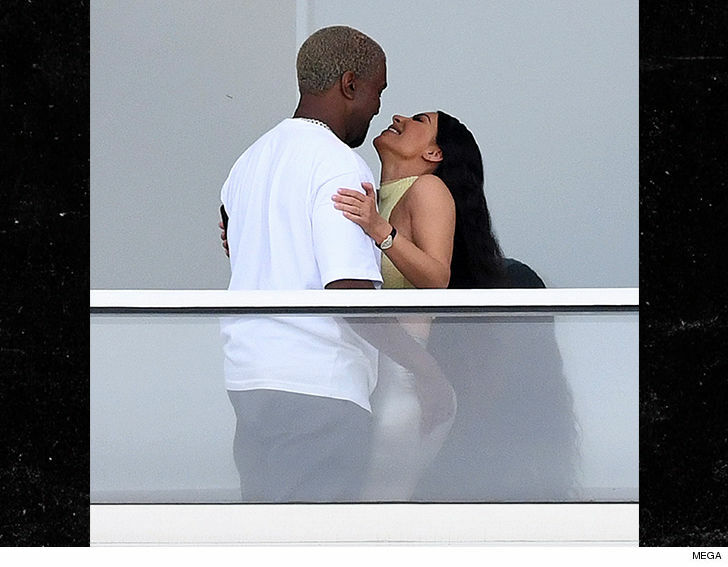 Kim Kardashian and Kanye West looked like the happiest couple in Miami ... embracing and locking lips on the balcony of their killer new pad. 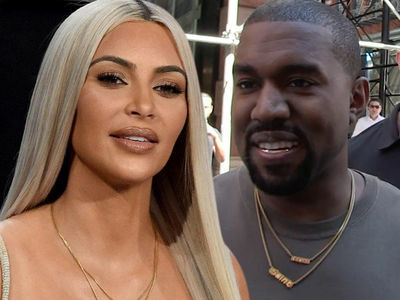 The two were spotted at the South Beach condo Friday ... it's the $14 MILLION purchase Kanye surprised Kim with for Christmas. Our sources say the two plan to split time with their family between their estate in Hidden Hills and the Miami residence. 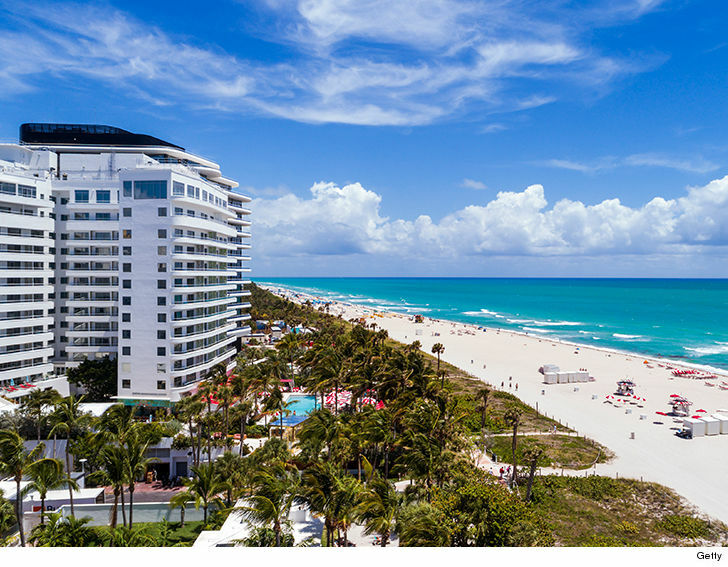 As for the condo ... it's located in an 18-story building called the "Billionaire Beach Bunker" with 4 bedrooms, 5 1/2 baths with 4,700 square feet of living space and a massive terrace. The building is tricked out with a gym, pool and spa. Not to mention ... the place is just steps from the beach. 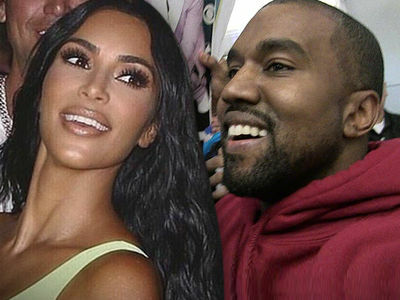 By the looks of the pics with Kim at the new pad ... Kanye DEFINITELY won Christmas this year.